Happy Fall. Its the season for apples, I counted there are some 7 different types of apples on display in TJ! Hillary just texted me to ask how to cook stewed apples. Well, this can’t be easier if you have a slow cooker. 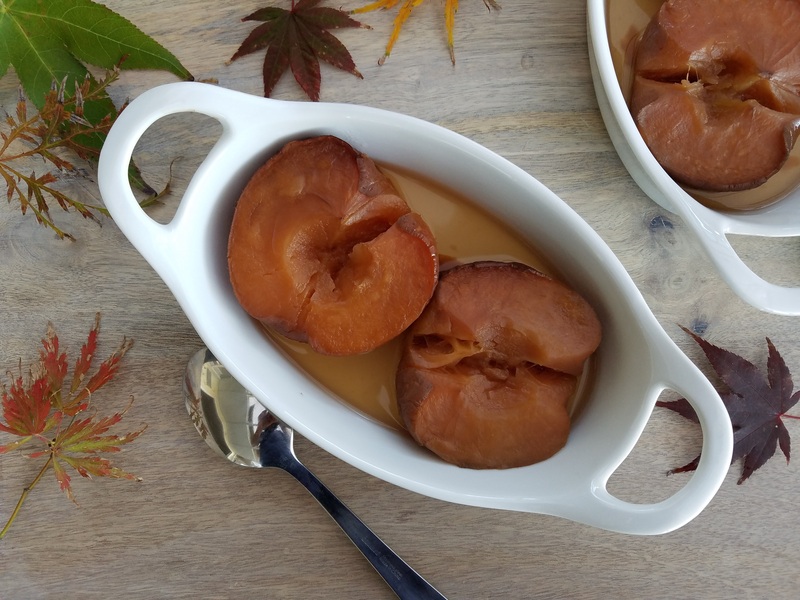 Its a 5-minute prep before you go to bed, and wake up to some tender, juicy spiced apple and cider the next morning. They are heart-warming on a chilly weekend morning. 2 big apples. I chose the Envy this time. 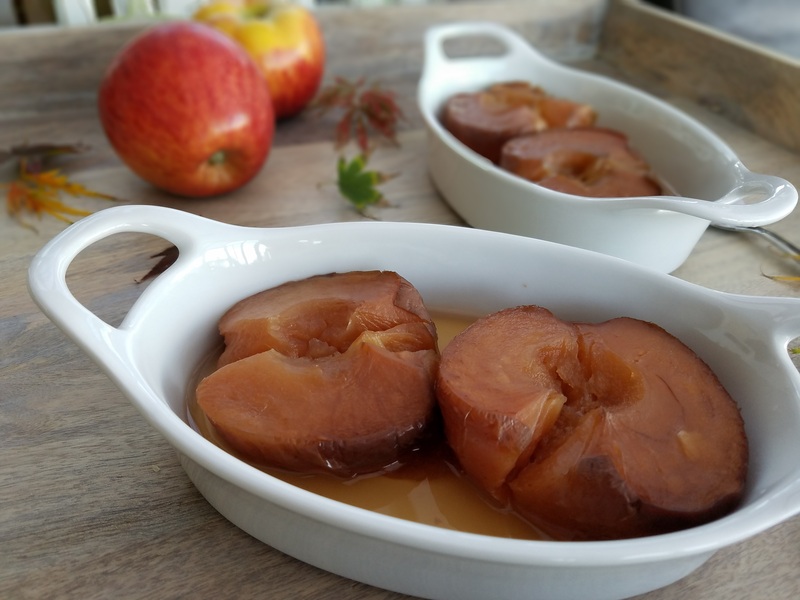 Any apples with some tartness will do well in this recipe. 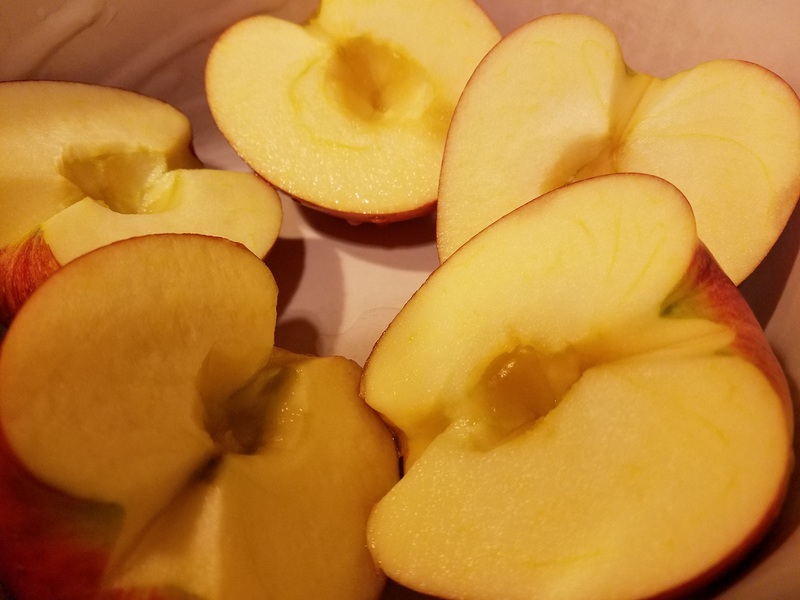 Cut apples in halves and remove the core. Arrange them in a large slow cooker, face up. Add cinnamon, start anise, sugar, and water. Cover, and set the slow cooker to cook on low. 6 hours is good. I cooked them for more than 8 hours this time and turned out to be a little mushy. 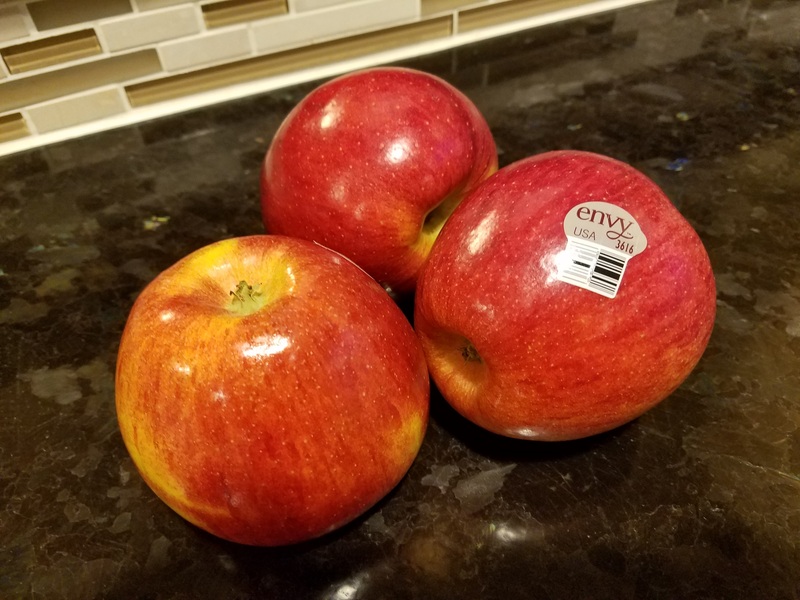 Adjust the time according to how tender you like your apple to be.